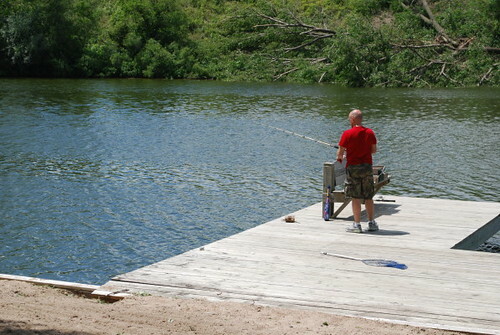 Jonny fishing off the dock. 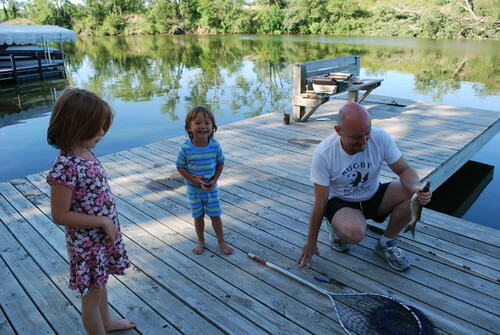 Everytime Jonny visits my parents one of the first thing he does is throw a line in the water. This trip it was all about teaching the kid to throw a line in the water. 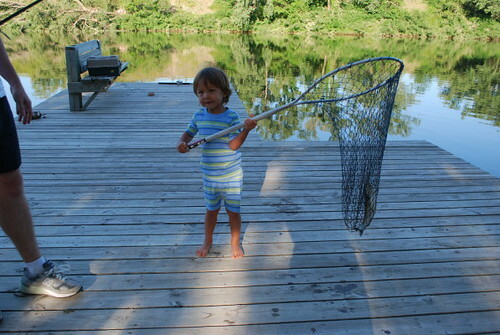 Angus loved to net the fish for his Daddy. 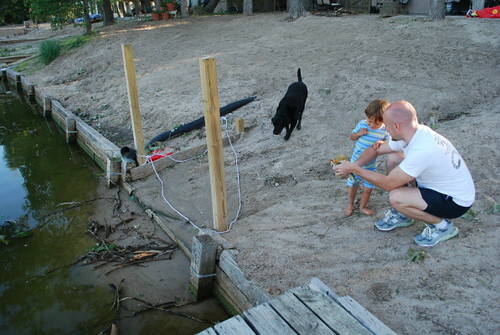 Jonny trying to get Angus to release the fish by himself. He wasn't quite sure of the slime factor. Another catfish too small to keep. Gemma reeled this one in and Angus netted it for Jonny. 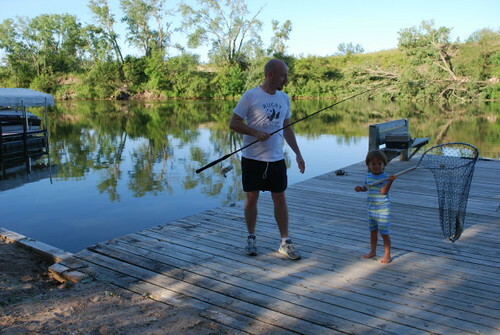 Although I do not have many pictures of Gemma fishing she loved it! 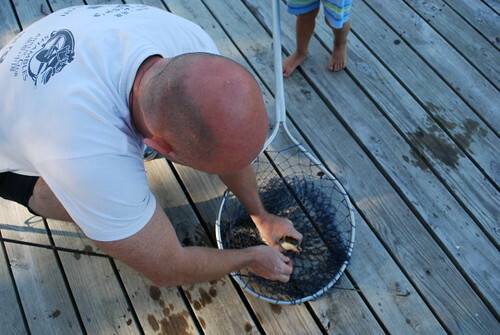 Taking out the hook, a Daddy job. I feel like bad luck!